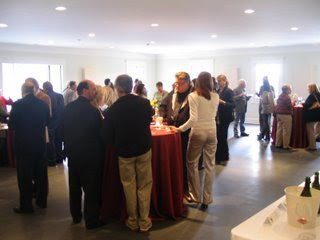 Steve Osborn's Stoutridge Winery meeting rooms and banquet halls were filled and sparkling, as the Hudson Valley Wine and Grape Association celebrated its Award Winners yesterday afternoon.The food and people were great, and the wine was wonderful! And everyone was there. Tables filled with wonderful parings dazzled the eye. Salmon and Balwin's Sparkling Wine, roast beef and Summit Oak Pinot Noir, mushrooms and Brotherhood Seyval Blanc, desserts and Warwick Valley's new cherry and appple liquors, and of course, many other wines at the tasting bar in the big hall. In a field of accomplished home-winemakers, Steve Casscles and Paul Denino fared the best. 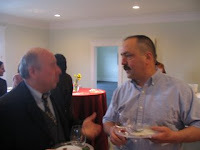 Both of these gentlemen are well known on the Hudson Valley winemaking scene. Steve's Chambourcin (Hudson River) won a Blue Ribbon, Tied for best Red Hybrid and Best of Show, Best Hudson River AVA Wine. He also won for his Chancellor '05, Red Ribbon for Red Hybrid and NY 64.533 ’04 (Hudson River), Red Ribbon for Red Hybrid.Paul Denino's Chancellor '05 took home a Blue Ribbon, Tied for best Red Hybrid and Best of Show. He also took another for his Cayuga White, which won a Blue Ribbon for White HybridOther standouts included such notable home vinters as Dave Ahlgren, Myles Weintraub (2),Kathy Noble, Stephen Kistner, Dennis Desario, John Hudelson (A New York wine favorite) and Bruce Trip. The room and patio were flooded with sunlight and warm spring weather. Much of the talk, with the recent thaw, turned towards pruning, and the winemakers were comparing vineyard notes. That's the best thing about one of these events - they're better than the Academy Awards. 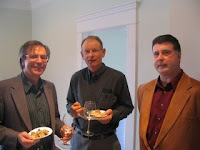 Here, you can chat with the winemakers, while sipping award winning wines. You think the Academy is going to let you back stage with Jennifer and Brad? I don't think so. The who's who of Hudson Valley wine showed up. John Graziano of Millbrook, John Bruno of Oak Summit, Cesar Beaza of Brotherhood, Marc Stopkie of Adair, Rick from Alison, Mike Migliore and wife Yancey of Whitecliff, Doug Glorie from Glorie Farms, Richard Lewit of Alison Wines, Steve Osborn of Stoutbridge, Kristop Brown from Benmarl, Jason Grizzanti from Warwick Valley Winery, and Ed and Sue Miller and almost the entire staff of Brookview Station (and well deservedly so). (Brookview took home the top prize for their Semi-Sweet Apple, and many other wineries came away with lots of loot as well. )While the award presentations were the reason for the Hudson River confab, the real message was absolutely clear - Hudson River wines have come a long way. Marc Stopke's Pesche was real evidence of that. If it came from California it would have already risen to cult wine status (actually, it's sold out every year early, so it already is getting there).But the news of the day was that the quality of the wines was wonderful. Tremendous even. If you don't have a few bottles of Hudson River wine in your kitchen, diningroom or cellar, you need to start stocking up. Now! So, I'm home alone. Dominique and the boys are snowed in upstate, and I am at home this weekend in New Jersey, working on yet another book. Luckily, a few friends of mine took pity on me and we decided to go out to dinner. Instead of celebrating St. patrick's Day by going out for stuffed cabbage and green beer, we braved the wintry scene of our town, and went for Italian. We ate very well at a local restaurant. Cucina Bella Italian Restaurant, in Boro Plaza, in Freehold. It is a pizzeria with a separate restaurant section. The food there is always hot, delicious, and hearty. And served in a friendly manner, whenre the owner knows every one who enters her establishment. There is even a dish, Eggplant DeVito, which is named for my Uncle Tom DeVito. So two of my friends, Eric Hirsch and Matt Weismantle, joined me in a boys night out. Eric is a single dad, and Matt's wife was kind enough to let him join us. As I said, we ate well, eating a piping hot bowl of fresh garlic knots, drizzled with garlic and olive oil salt and pepper, along with salad. And then I ate a vodka penne with shrimp. For dessert, we trekked through the fresh winter wonderland recently presented us here in the northeast and middle-atlantic, went back to my house, and we decided to continue our bull session and open a bottle of Casa Larga Vineyards Fiori Delle Star. One thing people count on my house having - plenty of good dessert wine. And this one certainly helped bouy that reputation. It was a little more tawny in color than I expected. But it gave off a rich scents of apricots and apples, and on the tongue it was rich with honey, apricot and apple. We all nodded after the first sip. It was excellent. Casa Larga Vineyards, located in Fairport, NY, is Monroe County's only winery. Casa Larga's Fiori Delle Stelle Vidal Ice Wine was awarded the 2005 Governor's Cup for "Best Wine in New York State" from the New York Wine and Food Classic. 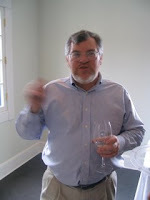 The winery was established in 1974, and is owned by Andrew Colaruotolo. The winemaker is Andrew Colaruotolo and the vineyard manager is Mike Countryman. The vineyards are about 40 acres and they make about 16,000 cases a year. It was not exactly the way everyone else celebrated St. Patrick's Day, but we had a lot of fun. 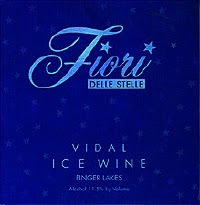 Try Fiori Delle Sttelle Vidal Ice Wine. It's a great way to beat back winter or end any meal. 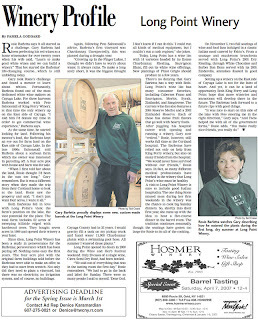 The Hudson-Chatham Winery is the dream of Carlo and Dominique DeVito, both publishing professionals who have long shared a love of wine. This exciting new winery, which specializes in small hand-made batches of wine, is dedicated to the richness of the Hudson River Valley, particularly its wine, agriculture, literature, art, history, and many other attractions that make it a rich and special region. 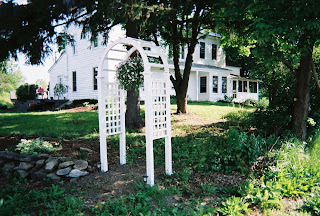 The Hudson-Chatham Winery, located between the historic towns of Hudson and Chatham, is the first winery in Columbia County. As well as creating fine artisanal wines, the DeVito family (including two dogs), and many valued friends, have worked hard restoring the winery's grounds and its prestigious circa 1780 farmhouse. The winery will feature hand-crafted wines, cheese and desserts, and will include vineyards tours and a gazebo with scenic views. A visit to the Hudson-Chatham Winery will inspire all your senses. The winery opens in Summer 2007. Jim Tresize wrote, "TRELEAVEN 2006 SEMI-DRY RIESLING is off to a good start this year, earning two consecutive Gold medals in the Florida and Grand Harvest competitions, the latter held recently in Sonoma , CA . PALMER VINEYARDS 2005 CHARDONNAY also took a gold, with both wines leading their categories in terms of New York winnings that included many Silver and Bronze medals as well. The Grand Harvest Awards competition, sponsored by Vineyard & Winery Management magazine which also organizes the upcoming Wineries Unlimited trade show and the International Eastern Wine Competition, is a uniquely challenging test for us wine judges. In addition to evaluating each wine as a candidate for various medals, we are asked in certain flights to identify distinguishable characteristics of a particular “terroir”—the combination of soil, climate, and other elements that make (for example) Finger Lakes Rieslings different from German, Alsatian or Washington Rieslings. In the wines we taste, we look for certain clues of fruitness, minerality, earthiness or other qualities, and then we guess (often incorrectly, but not always) as to their origins. It leads to very lively discussions, and in my case a lot of education. It’s a fun way of learning." Thanks for the update Jim, and it sounds like you're having too much fun. At the Wineries Unlimited event at Valley Forge, PA, I had the good fortune to meet Gary Barletta. A very nice, genial man. 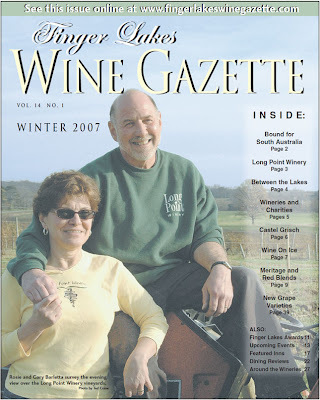 We chatted at one of the booths where we met, and then later on I happen to see him elsewhere - on the cover of Finger Lakes Wine Gazette. Long Point Winery is a recent addition to the Cayuga Wine Trail of New York State. Long Point Winery owner and vintner Gary Barletta, and his wife Rosie, collected over 60 awards in his 23 years as an amateur wine maker. Specializing in dry red wines, Gary has now enjoyed professional success winning medals in both national and international wine competitions. Long Point opened their doors in May 2000. It sounds like we all need to go see what going on on the east side of Cayuga Lake. And congrats to Gary and Rosie!! Directions: Located 5 miles north of King Ferry Winery and 2 miles south of Aurora and Wells College. Hours: March & April, weekend hours only: Friday & Saturday 10am-6pm, Sunday 11am-5:30 pm. May, June, November & December: Monday-Thursday Noon-5pm, Friday-Sunday see weekend hours above. July, August, September, October: Monday-Thursday 11am-5:30 pm, and weekend hours. Closed January & February. Wagner Vineyards Riesling Ice WIne...Wow! This evening we had some friends over to start making some dates for April and May. Alas, spring is almost here despite winter's icy blasts reminding us that his hoary breath is still with us. To help make the conversation go down better we had a fruit tart with creme filling...and with it we had Wagner Vineyards 2000 Riesling Ice Wine. It had scents of apricot and apple, and it tasted like a mixture of apples, raisins, apricots and honey. It was nicely balanced and tart. I loved it. It tasted great, and I got lots of compliments on, which also made me feel good. It was awesome. However, there were two things I didn't like about it...it went down too easily and I didn't have another bottle. Greenhouse Manager Fabienne Andette waters the early sprouts of plants grown at Lexington Gardens. She is part of the community that the Connecticut Agricultural Business Cluster hopes to promote. Fields normally bristling with new growth in the spring and yielding farm-grown vegetables, flowers, or even ice cream from Ferris Acres Creamery may look tucked in to sleep for the winter, but the weather is misleading. The agricultural world is in fact busy even during the snowy, frigid winter months. "People might think that once the snow falls or crops have been harvested that farmers go away on vacation for the winter. It's not true," said Connecticut Agricultural Business Cluster (CABC) representative Kelly Fuerstenberg. "There is equipment and machinery to maintain, [farmers] are starting things in the greenhouses. They're busy." According to the CABC, pruning, planting, maintenance and prep-work are among the tasks busying farm establishments in the state. Newtown's agricultural residents explain exactly what is taking place locally. "There are things going on, things are cranking up," Lexington Gardens owner Tom Johnson said. Along with his Greenhouse Manager Fabienne Andette and Nursery Manager Stacy Smith, he nodded his head to agree that much takes place agriculturally while the snow falls. "There is a reasonably large growing operation as we speak," he said Monday. "We planted pansies in January and just started to see the first flowers. The buds are opening now." As far as his garden and plant nursery are concerned, work goes on "behind the scenes," he said, in order to provide consumers with the plants and materials they prefer as the gardening season warms the early spring air. Supporting Mr Johnson's statements, Ms Smith said, "What they see is a long process and has been a long time coming." Already rooted and sprouting young leaves are a variety of onions, chives, and herbs, including basil, filling the Lexington Gardens growing areas. One greenhouse is filled end-to-end with daffodils, pansies, and salvia, among other annuals. These plants must be seeded and sewed in advance, in anticipation of sales, Ms Andette explained. Work must be done backward in the gardening business. Mr Johnson described the essentially reverse planting and growing process, which hinges on when a consumer will want to buy certain items. "[Planting] is based on the anticipated time when things should be sewed or sold..."
Already his greenhouse is filled with short, but thriving plants. Plants cannot be rushed, however, as Ms Andette explains. Summer bulbs or seeds come in and people are struck with a spring fever in December. "After Christmas they want that spring feel and might get anxious and start seeds too early," she said. February is even too soon for seeds, she said. Plants do not grow well if they remain indoors too long. "They become weak and spindly," Mr Johnson said, and advised that customers do not go home and plant right away. Read the instructions and go by what is written on the packet, his managers agreed. Wine may be among the warming thoughts, but the grape vines themselves may not be in mind. Morgen McLaughlin of McLaughlin's Vineyards admits that, "The grapes do go to sleep with the bears," in the winter, but work remains. "[Work] shifts into the winery, not in the fields," she said. Fermentation is taking place indoors, she explained. Looking back at the end of the grape-growing season and the months before winter, she said the grapes were brought into the winery, crushed, pressed, and fermentation finished in the late fall. "Young wine" is now in the tanks, Ms McLaughlin said. "You have wine because the juice has fermented into alcohol, but it's not ready to be bottled," she said. Winter allows time to handle this wine. "Now we're doing the racking, moving the young wine from tank to tank as the sediment falls," she said. Though dormant, the vineyards are also a site of activity. "We do the pruning now, between now and April and cut back last year's growth," Ms McLaughlin said. "We tie the plants to a trellis system." Conjuring another familiar New England site, Ms McLaughlin notes that the maple sugar is also boiling down, which begins at the end of February. While Sakonnet Vineyards of Rhode Island produces some great reds -- a little Cabernet Franc here and a Pinot Noir there -- it was the whites that sparkled at the final event of the Winter Wine Festival at the Wentworth by the Sea Hotel and Spa in New Castle. Paired with the New England cuisine of Chef Mary Dumont from The Dunaway Restaurant in Portsmouth was a crisp, floral Vidal Blanc, a Gewurtztrauminer with hints of white peach and a Chardonnay with a touch of crisp apple, all created by a microclimate just perfect for making great white wines. Vineyard owners Earl and Susan Samson chose to make wine in Little Compton, R.I., 32 years ago because the climate and soil of the area is very much like the maritime climates of European wine regions like those found in northern France. "In my area we have six wineries," says Susan Samson. "We're not exactly the Napa Valley Trail, but we have a trail. It's a thrill to see a product grow, change, improve. When we first started, the wines were not exactly 'there.' I had to do a lot of dancing and singing but now I think the wines speak for themselves." The Samsons say Rhode Islands' moderate maritime microclimate is much like the Loire Valley in France and a good growing environment for their Chardonnay and Vidal Blanc but especially for the Gewurtztrauminer. "The Gewurtztrauminer thrives in cool climates," says Susan. Paired with Chef Dumont's foie gras torchon with a touch of quince, the fruit and honey flavors mellow out the rich duck liver. The vineyard also produces a champagne, a blend of Chardonnay and Pinot Noir that produces a sparkling wine with a bit of citrus and nectarine along with a touch of cherry and honeysuckle. For those who think that an American winemaker can't use the term "champagne," think again. "We made it during the time the French were 'misbehaving,'" says Earl. "So we just wanted to irritate them. It doesn't have to be from Champagne to be called that. We passed it through the ATF (Bureau of Alcohol, Tobacco and Firearms) and they approved it." For their next vintage the Samsons say they'll go back to calling it Samson Brut, made in the Champagne method, but without the name. 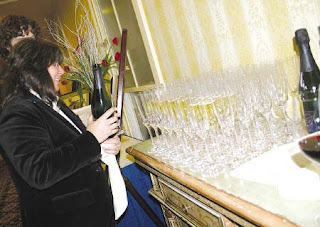 Wine Festival Executive Director Michelle Duval pours Sakonnet Champagne Saturday at the final event of the Winter Wine Festival at the Wentworth by the Sea in New Castle. The wineries signature wine is their Vidal Blanc. "It's New England's answer to Pinot Grigio," says Earl. "It was voted best wine with sushi at the Boston Wine Expo this year," adds Susan. The Winterwine, a dessert wine made from the vineyards' Vidal Blanc grapes, also wins awards, and a little bit of controversy. "There are rules and regulations," says Susan. "Ice wine is supposed to be made with grapes frozen on the vine. We pick it almost frozen and then bring it to a cranberry farm in New Bedford and freeze it there and we press them frozen like everyone else does." "A frozen grape is a frozen grape!" Earl interjects. "The Canadians and Europeans got together and said if you can't freeze your grapes on the vine it's not ice wine. 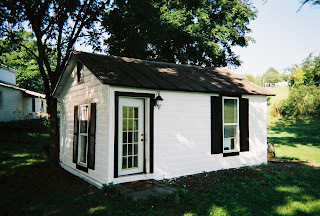 Ours is less expensive and just as good." The reputation of east coast wineries may not be happening fast enough for some, but the reputation of the region is absolutely growing, especially within the confines of the industry's most prominent magazine, Wine Spectator. In the Ultimate Buying Guide, January 31 - February 28,2007 issue, New York and Virginia shone especially well. Other east coast states featured included New Jersey, Pennsylvania, and North Carolina. Many wineries fared very well, but too much to list here. So, performing a little editing, and avoiding a lawsuit, I will tell you which wineries achieved at least a score of 85 for at least one of their wines. For those skeptical of east coast quality, the list will be a shocker. For many believers, it's still more than you think. Mount Pleasant in Missouri, Flat Creek in Texas, and Spanish Valley in Utah also drew the same distinction.